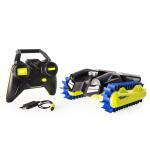 Air Hogs Thunder Trax is adventure on any terrain, in any season! 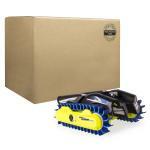 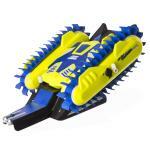 Thick treads maintain control on grass, gravel, mud, water, and even snow! 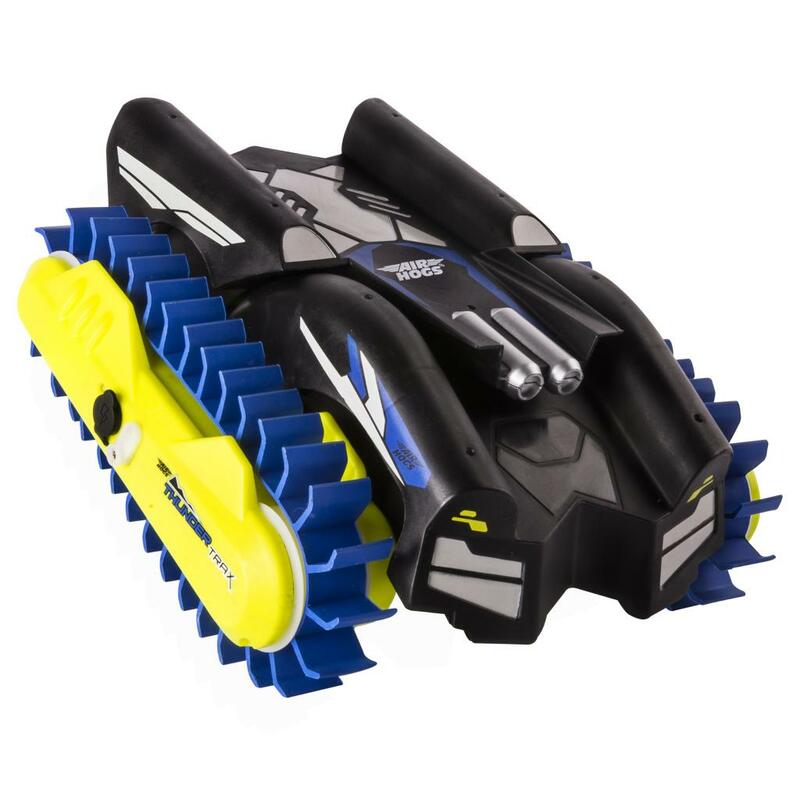 Seamlessly transition from land to water with the push of a button — Thunder Trax transforms on water from tank to boat to take you anywhere. Remote 2.4GHz communication puts you in control, and easy USB charging puts you back on the road faster. Go wild with Thunder Trax, the transforming all terrain vehicle from Air Hogs!